Hey, it’s Kelley Jones‘ birthday! What better time for another installment of our interview series? Plus: EXCLUSIVE original Jones pages! Kelley Jones has one of the most distinct styles in the history of comics — and is one of Batman‘s most celebrated artists. When you see his work, you instantly know it’s him. Few artists get to achieve that kind of recognition. 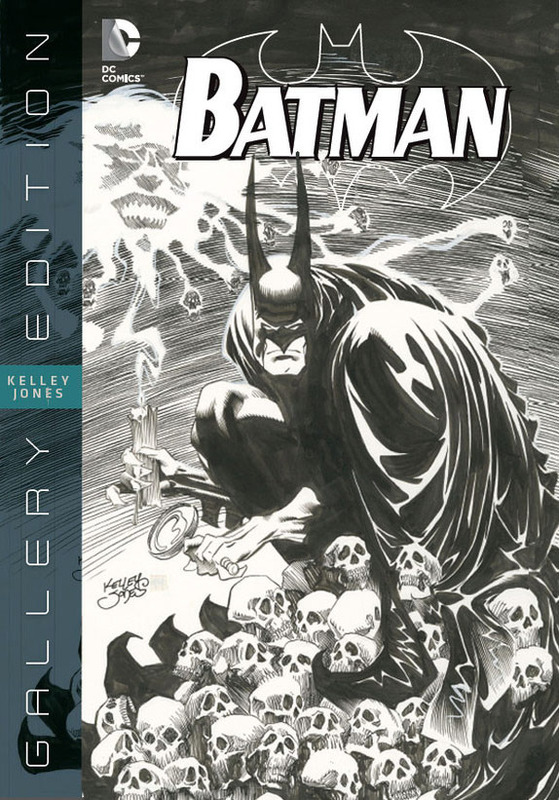 He has some Swamp Thing and Batman material coming up — his Convergence two-parter with Len Wein was an event highlight — and his Batman: Kelley Jones Gallery Edition from Graphitti and DC was nominated for the 2015 Eisner for Best Publication Design. In the first installment (found here), Kelley talked about how Marshall Rogers sparked his career. It’s a great story, well told by Kelley, so feel free to check it out. In Part 2 (found here), he talked about how comics gripped him when he was a kid. 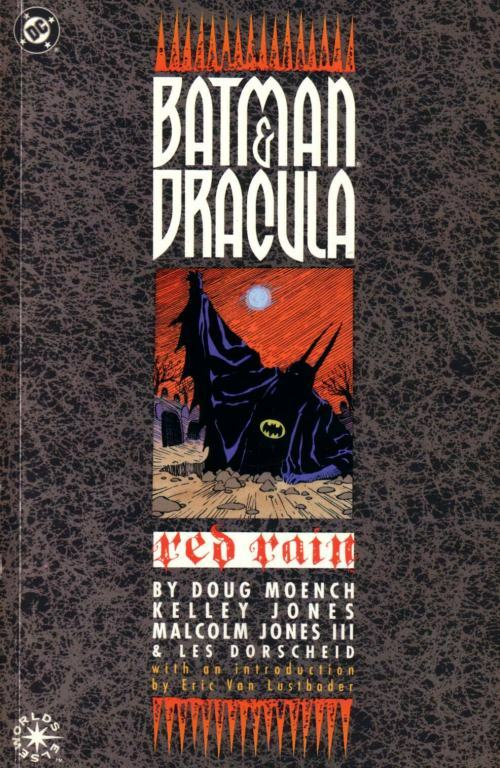 Now, in Part 3, we talk about his masterpiece with Doug Moench — Red Rain — and how working on Deadman led to him working with the undead. Dan Greenfield: So then how did Batman happen? 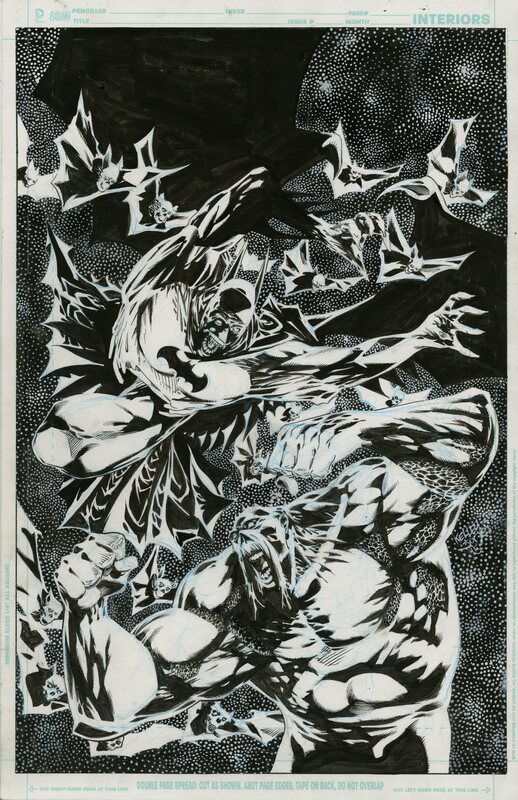 Kelley Jones: Batman happened because (editor) Archie Goodwin had really liked the Deadman book. 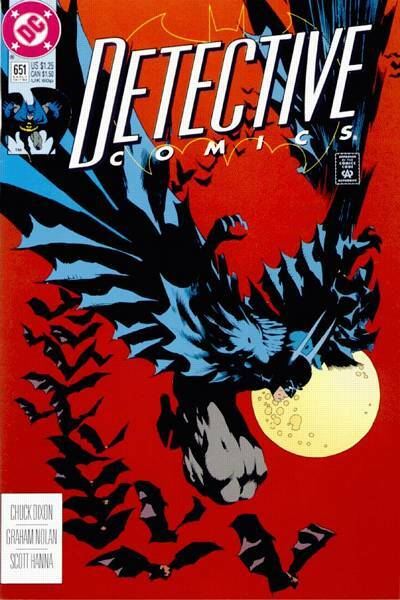 So he called me up and said, “Would you do an inventory cover for Detective Comics for me? I don’t know if it’ll be a pinup or an inventory cover, but I’d like to see your take on Batman.” So I drew this picture of Batman kind of diving down with all these bats following him. No background. I just really went into this weird cape. I turned it in. He really, really liked it. At the same time, I had just done a couple of Sandman books and worked with Malcolm Jones, who knew Doug Moench, and he was saying, “Boy, this guy’s really good,” and Doug had seen Deadman and said, “Yeah, I like that a lot.” This was all going on without me really knowing. So at that point, I did Red Rain. It was another one of those things. It was a 90-pager and I worked in… really …obscurity. I just went off and did it. 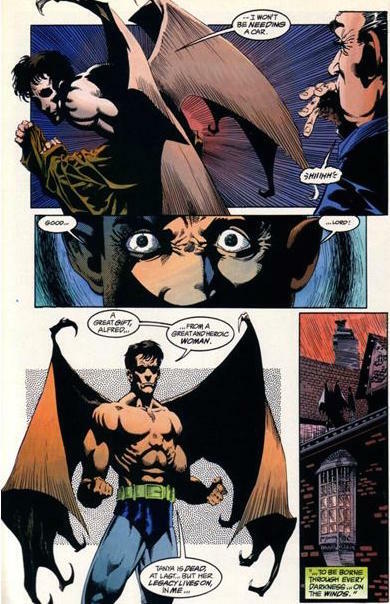 You know, obviously they had the regular Bat-stuff going on. At that time, what helped me a lot was Batman/Judge Dredd by Alan Grant and Simon Bisley. They had put all of the marketing and promotion behind that book… which they should. It’s gorgeous! It was a killer story. It was everything perfect and when Simon would turn in his stuff, he’d just knock it out of the park. And here I was, working … very, kind of, clandestinely. Not intentionally but who cares, right? We’re not a monthly. It was basically Doug doing a vanity project and I was now known at DC… I was known as the horror guy, because I’d done Swamp Things and Sandmans and Deadman. And some genius at DC decides to release these both on the same week, right? (Dan laughs) So I’m, like, devastated by that because … I’m dead! I cannot compete with this! No one could! And lo and behold, we sold out. The entire print run was sold. It came out on a Thursday and it was sold out by Saturday. That was 35,000 hardcovers. And seriously, it sounds silly. Batman and Dracula. It just sounds silly… until you see it. And then it becomes, “Wow, this is seriously done.” And it’s different. I didn’t look like other people. So it all worked and that just became this HUGE hit! At that point, they immediately wanted a sequel and I did the sequel and THAT was a huge hit. It did the same thing.